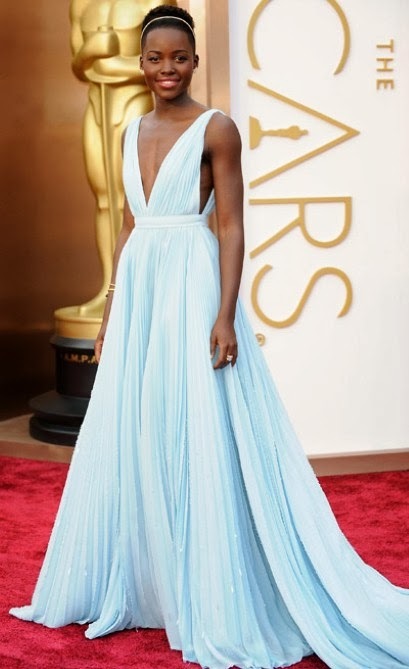 It's no secret that Lupita Nyong'o's powder blue Prada dress was one of the best at the Oscars this year. In reading about the dress, it was memorizing to learn the nitty gritty details of the inspiration behind it all. The particular shade of blue was a salute to her home of Nairobi and also to her family heritage. That gorgeous blue on her skin tone combined with the old Hollywood glamour vibe made her the clear standout at the Oscars this year. 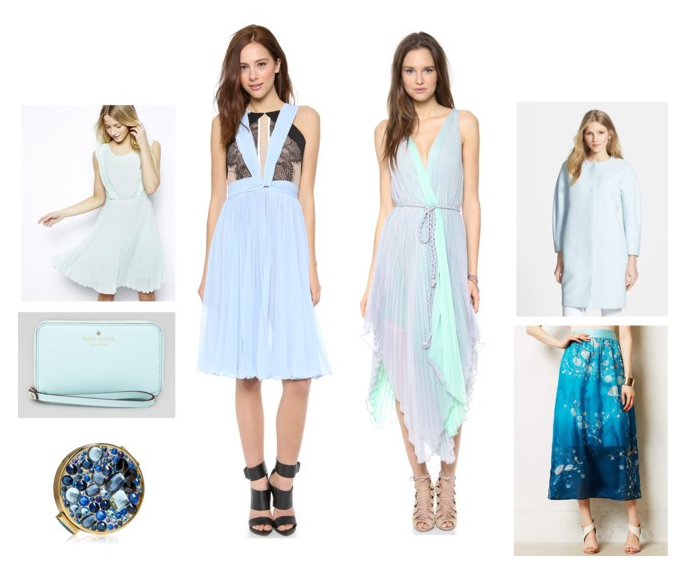 Below are a few products that are reminiscent of Lupita's gorgeous Oscar dress. N-o-t-h-i-n-g can touch that Prada creation, but these will make you feel just as award-winning. How about that Three Floor Pleats & Thank You Dress? In love. The Kingsley Dress is also a winner and 100% reminds me of the ocean. The ASOS Short Pleated Dress is adorable and definitely won't break the bank unlike the Limited Edition Estee Lauder Crystal Compact. Not so sure I'll be dropping that kind of money on a compact, but isn't it so pretty? I think Lupita for sure should have had that baby in her clutch for the Oscars. Just sayin. Such a gorgeous color. She looked flawless.